The community at Riley is integrated and inclusive. It is not uncommon to find 5 year olds, 13 year olds and facilitators working side by side or in collaboration. That said, programmatic designations separate children into “Schools” in order to best meet intellectual and social maturities and needs at different developmental stages. Movement between schools is fluid and determined by a child’s readiness but, in general, children in the Lower School range from 4 to 7 years old and children in the Middle and Upper School range from 7 to 15 years old. The program takes advantage of the music and theatre spaces, the library, gardens and meadows on the Riley campus. In Middle School, more emphasis is placed on recording and working with concepts in written form. Children continue to use concrete materials, dialogue and activities to assimilate new information and develop ideas. Whenever possible, we see how a discipline is used outside the classroom and integrate the mathematical or literary aspects of science, music and art with ongoing work. Each day in math, children participate in computation review and practice through a variety of forms and methods both individually and in groups. In other classes, children read aloud or write daily. We want young readers to enjoy their study and to become fluent readers who love to read and write and look forward to more complex studies. 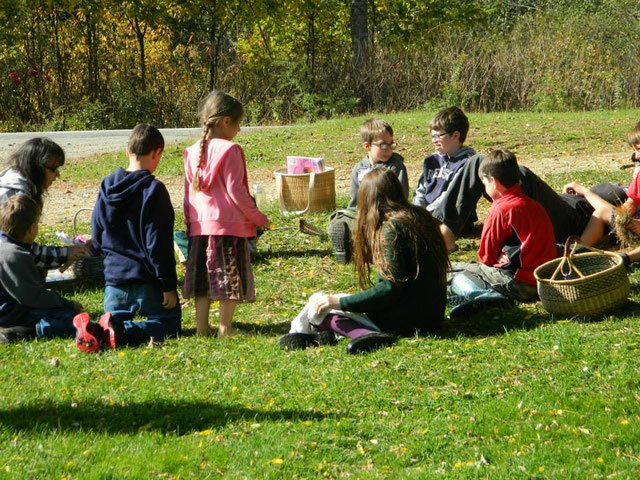 All classes are encouraged to spend time outdoors and on field trips.